Data management is the heart of an effective audience-first strategy. 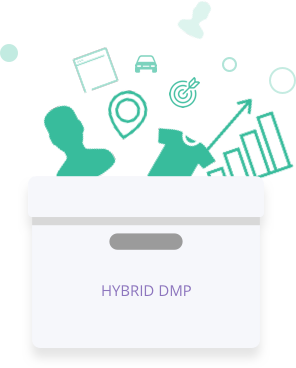 Collect and use the data to target audience in a single platform using Hybrid DMP. Use your own data and combine audience personas in different ways, build a look-alike audiences and develop interaction strategies to boost your campaign efficiency. Hybrid allows you to collect data from multiple sources: website, mobile and web applications, email-mailings and content on third-party resources. Segment your audience by their actions within mobile apps and websites. Build strategies using your own data and achieve the higher rate of engagements by the users. Leverage the power of data intelligence with a single/unified platform for collecting, storing and managing user data. 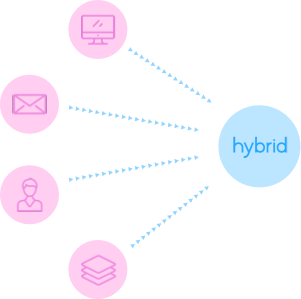 Hybrid’s data cloud gives you access to 1st, 2nd and 3rd party data from apps and websites to have all the relevant data available for the maximum success of your campaign. Your own data (1st party data) is most valuable for your advertising campaign. This can be data about activities on your site, email lists, mobile devices, data obtained as a result of CRM-integration. In Hybrid, you can launch a look alike campaign with which the system will find similar users to your target audience and show them the advertising of your brand. Retain the data of advertising campaigns and segment your audience according to the results. You can share these audiences with the partners in the Hybrid interface with just a few clicks. 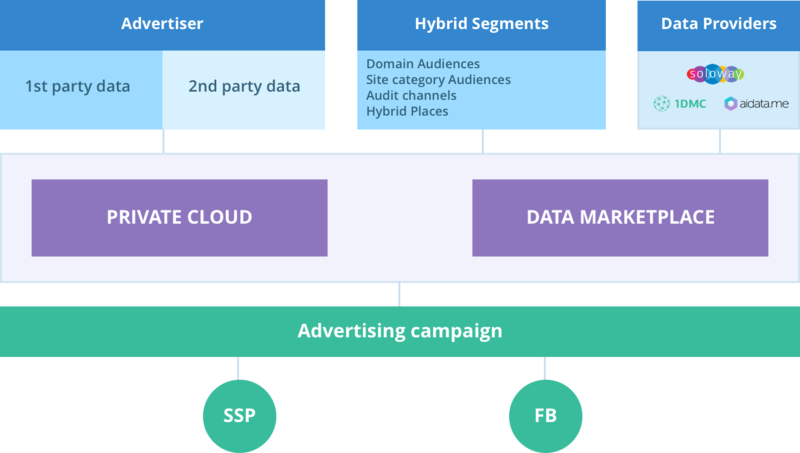 In Hybrid, you can bridge the gap between your advertising and marketing initiatives using more than 3000 audience segments from Aidata, Avito, 1DMC and Soloway. Create unique user personas using social media, professions, interests and information about purchases. The tool allows you to create custom audiences based on the domain, the context of the pages you visit and the site category by Google and IAB. For each segment, you can set the time period for the user to enter the audience (from 1 hour to 30 days). Hybrid’s Private Cloud ensures a secure cloud storage of data. Here, the advertiser's own data is aggregated. The data in the Private Cloud is confidential and private to your advertising account.